So March was an unexpectedly great month for reading. I’ve been feeling like I’ve not been reading enough lately, but that’s clearly not true. Why? I read 12 books in March. 12 books! To be fair, they were a combination of full-length novels, shorter books, and graphic novels (which I absolutely power through). Regardless, I’m so pleased with my progress! This is going to be a long post, so I’m not really going to go into detail here. I’ll have reviews for each book I read soon! I read a lot of great stuff this month! I think the winners were The Silkworm, City of Stairs, Planetfall, and Children of Blood and Bone. Although they’re all different books from different genres, each one was a five-star read for me. If you want to hear more about these while waiting for reviews, you can check out my wrap-up video here! Okay, so I wasn’t supposed to buy any books this month. Clearly that didn’t go as planned — so much for my Shelf-buster Challenge! I don’t feel bad about this though — I ended up getting some really great stuff. I’ve already started working my way through these books, as you can see above. A number of them will also be on my April TBR, so stay tuned! I received some great book post this month! A fair few are the tail end of The Great BookBridgr Requesting Spree of 2018 while the rest are either from publishers, internet pals (thank you Sarah! ), and book subscription boxes. As above, I’ve made a good start on these and a few will be in tomorrow’s April TBR! It looks like this was a great month for NetGalley approvals as well! I didn’t think I would be approved for City of Brass, so I ended up buying a copy (oops). I don’t have copies of the others. I think I’m most excited for The Queens of Innis Lear and Legendary, despite feeling a bit ho-hum about Caraval. That’s it for this month! April should end up being a great one — I have so many marvelous books to read. I’m planning to do some serious catch-up with my reviewing, so stay tuned! How was your month in reading? Did you pick up anything you loved? 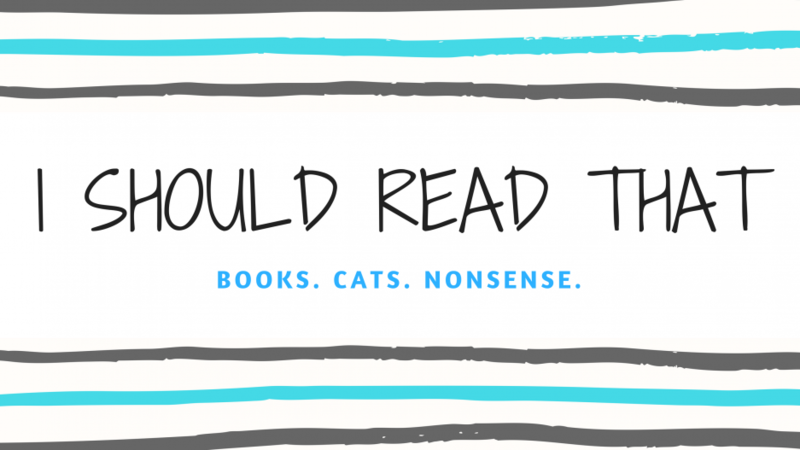 Have you read any of these books or are they in your TBR? Let me know! ‹ PreviousAnnouncement: Spring Cleaning Readathon! I finished up The Hate U Give last night and absolutely loved it! I can’t believe it took me this long to read it! I also have the Wicked Deep on my TBR, and am considering getting State of Sorrow from the library as it sounds quite political and not too dystopian so I feel like I might enjoy it. Loved Upside of Unrequited last year! I finished The Lodger about Shakespeare’s live in London as part of your Bank Holiday weekend read a thon. Good book. Now I have to choose a new book. That’s an awesome wrap up! I love the edition of City of Brass! That’s great that March ended up being such a spectacular month of reading for you. 🙂 I’m hoping to start reading Paper Girls as well soon. I’ve heard a lot of good things about it.